Home CBD Fleur Marché Women’s Wellness CBD Site Launched (MW). Men Pay Attention! Would you pay $125 to chase away your significant others PMS pain away? Well, of course you would, in a heart beat. 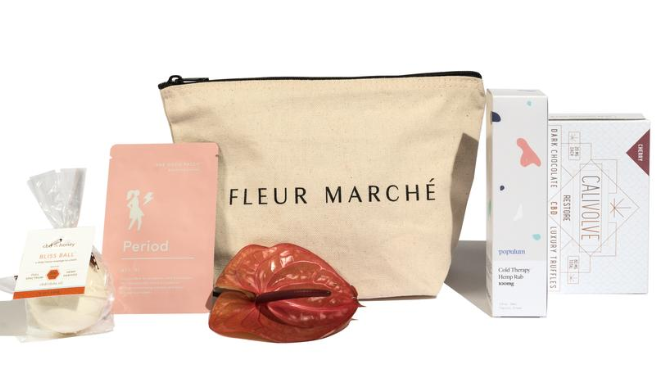 Fleur Marché has put together 4 unique and dummy proof CBD kits to help with all of life’s great challenges: sleep, anxiety, period pain (ugh!) and a good skincare regimen. Bonus, it includes a makeup pouch perfect for traveling and a reusable clear tote. Need a vacay from your Wife or Girlfriends that time of the month? Order yours today. Here’s a number you rarely see..a recommended dosage. Did she actually say recommended? Dr. Junella Chin, an integrative cannabis physician based in New York, told Moneyish her recommended dosage of CBD is between 15 to 20 mg per day, and suggested spacing out doses a few times a day instead of taking them all in one shot. For beauty and wellness products like lotions, lip balm or skincare, 5 mg of CBD is a safe and effective dose, she said. 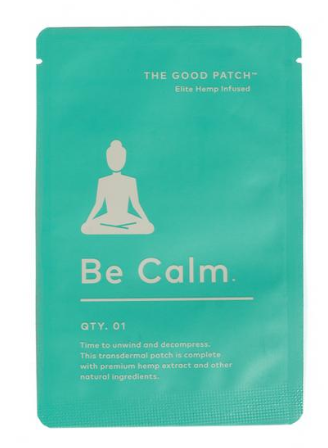 Gwyneth Paltrow’s Goop alumni have launched a CBD beauty site for women — and doctors say it can help with period pain. A pair of Gwyneth Paltrow proteges who worked at her lifestyle empire Goop have built their own version of the site devoted to all things CBD. Schroeder says they designed the site with luxury and self-care in mind. “I felt like there was a lack of sophistication in the cannabis space,” she told Moneyish. With the CBD market slated to reach nearly $2 billion by 2022, according to New Frontier Data, the buzzy ingredient continues to grow increasingly ubiquitous as it appears in cocktails, at coffee shops and restaurants, in spa treatments, and even on room-service menus. President Trump last month signed the $867 billion farm bill, which allows states to legally produce the hemp plant, from which CBD can be extracted. But despite hemp legalization, the FDA still largely considers CBD products illegal to add to food or health products without approval from the federal agency, since products have not been clinically proven to be safe or effective. Weeding out the junk from the good stuff is where Lewis and Schroeder came in. They wanted to tap in to the canna-curious female consumer, giving her a classier CBD experience while educating her on the products and their potential uses. “When you reposition CBD to women as part of self-care, and something that would help with anxiety, sleep and PMS as opposed to something that is just for recreational use, you can garner a whole bunch of different consumers,” Lewis said. Fleur Marché categorizes products based on intended use, like pain relief or PMS. Doctors approve, but caution they can have side effects if a person is taking other medications. “While the benefit of CBD for menstrual cramps has not been clinically proven, CBD has an anti-inflammatory property, so it makes perfect sense to help with menstrual pain in that it will help with inflammation,” Diana Martins-Welch, an attending physician in palliative medicine at Northwell Health, told Moneyish. The “cannabis apothecary,” as the website calls it, contains products ranging in price from a $9 CBD hydrating lip balm to the $110 PM Formula, a tincture that claims to help with sleep and pain management. In true Goop fashion, Lewis and Schroeder say they tried all of the products themselves before putting them on the site. Product labels include ingredients, CBD content, serving size and instructions on use or consumption. Previous articleHoly Crap. 446 Publicly Traded Cannabis – Marijuana Related Stocks in the US!